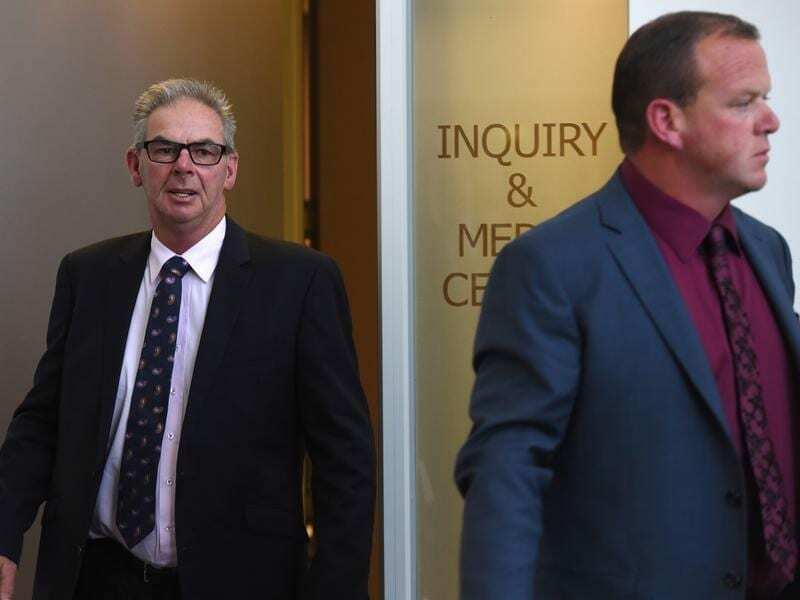 Lee (left) and Shannon Hope have lost their appeal over cobalt disqualifications. Victorian father-and-son training partners Lee and Shannon Hope have lost their appeal over cobalt disqualifications. A judge has found both trainers guilty of administering cobalt to affect the performance of three horses in 2014 races. Lee Hope was originally banned for three years and his son Shannon for five years by the Racing Appeals and Disciplinary Board, but they will now face a fresh penalty hearing in the Victorian Civil and Administrative Tribunal. In finding the trainers guilty, Justice Greg Garde said cobalt-containing substances were administered to Windy Citi Bear, Best Suggestion and Choose on or shortly before race day. Both trainers were well aware of the unrecorded administration of additional cobalt supplements or medications and intended the administration to occur, the judge said in a decision released on Friday. “I am satisfied that Shannon Hope, who had charge of the horses stabled at Seymour, was well aware that he was administering or causing the administration of substances that he should not be administering,” Garde said. Garde said he was satisfied that Lee Hope was well aware of what Shannon Hope was doing or arranging in terms of the administration of supplements and medications on race day or close to race day. That was despite the father always denying that any additional administration occurred over or beyond what was disclosed in administration spreadsheets. “Given the strength and closeness of the father-son bond over a long time, I do not accept that Shannon Hope concealed what he was doing in relation to the administration of supplements and medications from his father,” Garde said. “Lee Hope did not suggest that he did. The Hopes denied administering cobalt to affect the horses’ performances. In July they pleaded guilty to a lesser administration charge, blaming their feed and supplements regime for an inadvertent breach of the cobalt threshold. Their penalty hearing will be held on a date to be fixed.